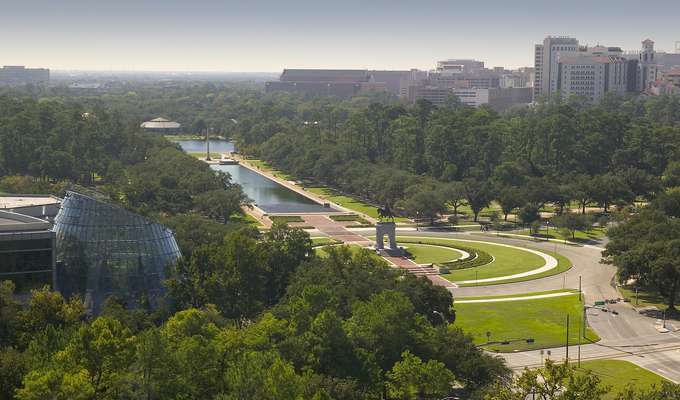 Hermann Park is another spectacular woodsy area in Houston, with multiple points of interests such as Houston Zoo, Miller Outdoor Theater, Museum of Natural Science, Garden Center and Japanese Garden. 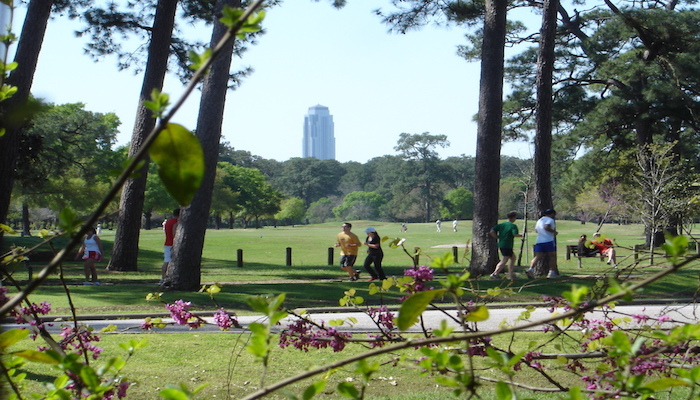 There are numerous paths to choose from, the most popular being the 2-mile loop called the Marvin Taylor Trail, circulating around the park’s golf course under the shades of historic live oaks. 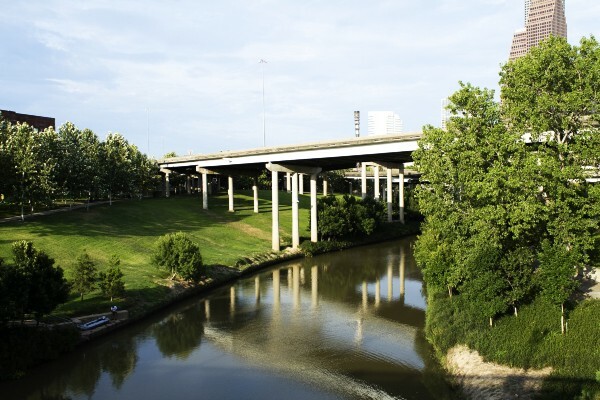 Add one mile and make it a 3-mile loop by going through the underground pedestrian tunnel under MacGregor Way to the Bill Coats Bridge — a contemporary suspension bridge for pedestrians to cross Brays Bayou. Head south and then east, and cross the river again over Cambridge Bridge to rejoin the Marvin Taylor Trail. For a longer run, (5+ miles) cross Main Street at west side of the Hermann Park and combine with the Rice University loop (above) with Hermann Park trails. Short Run: In Park; Long run: Main St. & Sunset Blvd. View Map: 2 miles in Hermann Park View Map: Hermann Park & Rice Univ.